The Australian Kelpie Dog is a medium size dog that can be found in Australia. These dogs are mainly used for driving cattle to their sheds. It is not surprising to see that wherever there are cattle they are Australian Kelpie Dogs. The Australian Kelpie Dog is getting in many colors, which could be a reason why they are so popular throughout the world. The Australian Kelpie Dog is also used in stunt shows. 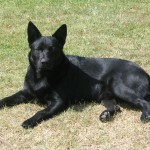 They are very agile dogs and have plenty of power in their legs. During the Victoria Kelpie Festival, that was held in Australia, an Australian Kelpie Dog named Riley jumped 2.95 meters, which was a world record. The Australian Kelpie Dog has been beaten only twice. You would be surprised to find out that many people around the globe are still not aware about the existence of The Australian Kelpie Dog. 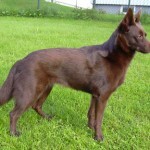 But, in Australia, The Australian Kelpie Dog is a household dog in many farmlands. Home owners consider themselves lucky having these dogs. Statues have been made to salute The Australian Kelpie Dog. 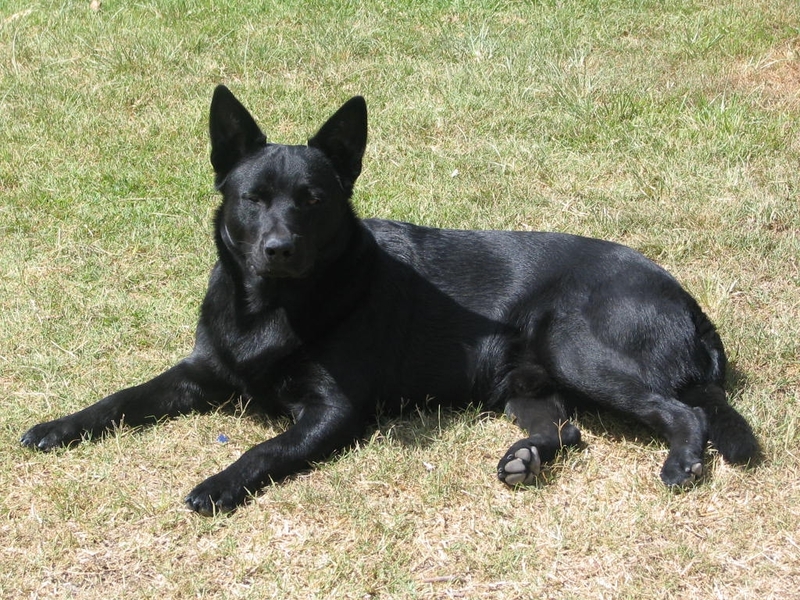 There have been comparisons of The Australian Kelpie Dog with the Border Collie. However, The Australian Kelpie Dog has no association with the Border Collie as both the dogs are completely different from each other. In fact, after more than 30 years only the Border Collie can into existence in Australia. The Australian Kelpie Dog is a medium built dog that has very sharp eyes and ears. They have an athletic appearance, which is why they are very hard working. They come in many shades like red, black, red, and tan, black and tan, fawn, blue, fawn and tan, blue and tan, and cream color. The Australian Kelpie Dog is longer than their height and is muscular. Their necks are very strong and their heads are narrow and long. The Australian Kelpie Dog comes with almond shaped eyes and pointed ears. When in excellent health, the Australian Kelpie Dog weighs more than 18 kilograms and measure more than 18 inches. They have a very beautiful look. Since the Australian Kelpie Dogs are very active, they need foods that can provide them with the energy that they require. You might want to feed them with meat products like chicken, meat, and fresh fruit. When they find it difficult to chew food, then you can give apples or carrot to chew on. They can be feed twice a day. When you own an Australian Kelpie Dog, you might want to ensure that you feed them properly. 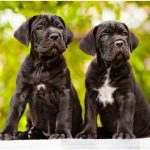 They can contract health problems including hip dysplasia, cryptorchidism, luxating patella, and cerebellar abiotrophy. 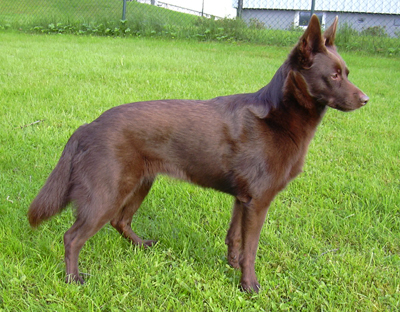 There are two main breeds of the Australian Kelpie Dog. 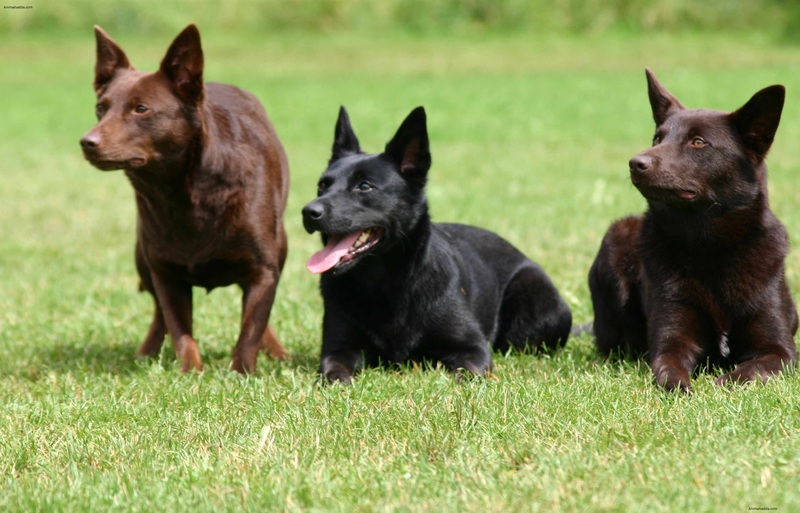 They are the working Australian Kelpie Dog and the show Australian Kelpie Dog. 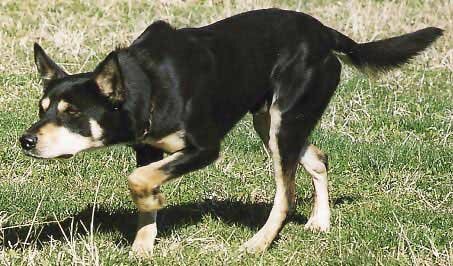 The working Australian Kelpie Dogs are meant for cattle herding and help their owners in pushing reluctant cattle. 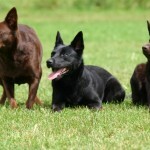 The show the Australian Kelpie Dogs are used for appearing in shows. 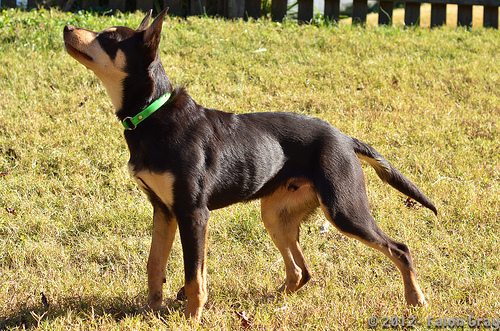 The country Australia has its own rules for registering the Australian Kelpie Dog. The Working Kelpie Council (WKC) registers the working Australian Kelpie Dog. 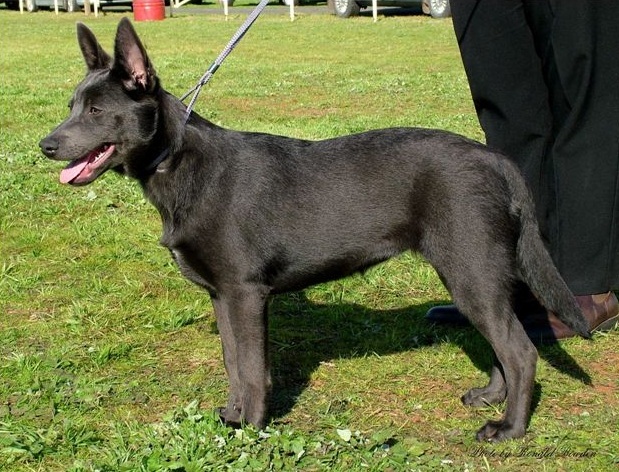 The Australian National Kennel Council registers the show Australian Kelpie Dog. The working Australian Kelpie Dog should be only used for working purposes. The show Australian Kelpie Dog must be used for show purposes. Depending on which council they have been registered, they must be used. The Australian Kelpie Dog has not been registered with the American Kennel Club (AKC) in the United States of America. 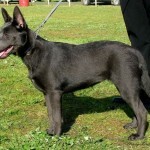 However, in the United Kingdom, the Australian Kelpie Dog has been registered by the United Kennel Club (UKC). 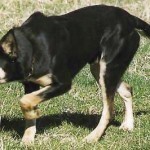 The predators of the Australian Kelpie Dog include wild animals. Since this dog is mainly used to protect sheep and goats, there are chances that wolves, foxes, and other wild animals might attack the farmland. However, the Australian Kelpie Dog is an excellent watch dog. They have a keen sense of smell and eyesight. The Australian Kelpie Dog is a cheap dog to maintain, unlike other dogs. It is not surprising to note that many farm owners in Australia have these dogs. They come in three kinds of coats that include rough, short, and smooth. The Australian Kelpie Dog is more than 20 inches in length and weighs more than 40 lbs. 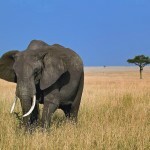 These dogs can survive in any climatic conditions and are known to have herded livestock. The Australian Kelpie Dog can manage livestock in an excellent manner. They jump on the rear side of the cattle to make them move or remove a jam. They can be used for managing any sort of livestock namely sheep, goats, ducks, and rams. The Australian Kelpie Dog will not like living in a cramped apartment. If you are residing in a compact area and are planning to purchase an Australian Kelpie Dog, then you might want to think again. They don’t like to be alone all by themselves. They like company and lot of space to walk and run about. The Australian Kelpie Dog can live for 14 years. Though, they have eye problems as they grow older. You might not want to bathe them often as the soap lather could roughen their coating. The Australian Kelpie Dog requires occasional brushing. 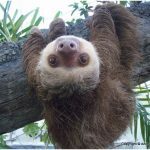 They are friendly, intelligent, and loving to their owners. The Australian Kelpie Dog likes to live in large spaced lands. You might not want to keep them in cramped areas. They might get into depression when left all by themselves. It is also necessary to do worm them once in a while. Though they remove overgrown nails by themselves, you will want to ensure that you check it and brush their teeth regularly. The Australian Kelpie Dog is an intelligent and mild dog. You will want to provide training early in their life. The earlier the training is provided to them the better the results. You might not want to buy an older dog. Instead, purchase a new Australian Kelpie Dog for your home. 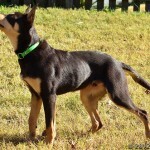 There is plenty of information on the internet about the Australian Kelpie Dog.